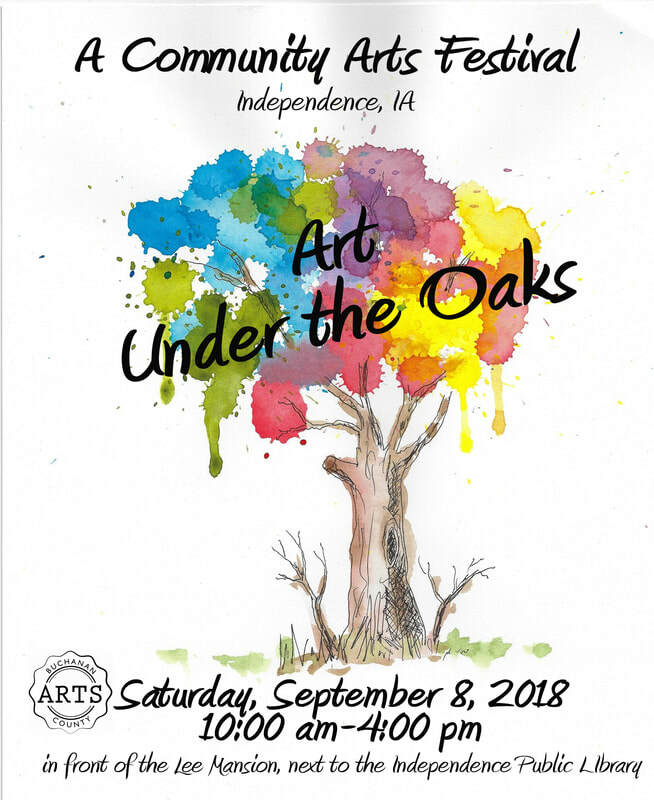 The Buchanan County Arts group and our Partners and Supporters invite the public to spend the day in Independence and attend the 4th annual Art Under the Oaks on Saturday, September 8, 2018 from 10 am to 4 pm. Area artists will have works on display and for sale. Tour the Lee Mansion which is currently being restored by the Historical Society. Walk through Master Gardener’s beautiful gardens behind the Mansion. Food will be available, which you can enjoy while listening to local musicians. ​Mark your calendar to attend Art under the Oaks on September 8 on the grounds north of the Lee Mansion and the Independence Public Library. There will be something for everyone! Please click the image above to head to the Buchanan County Arts website.